8th March marks the International Women’s Day and is observed through-out the world with a lot of enthusiasm. 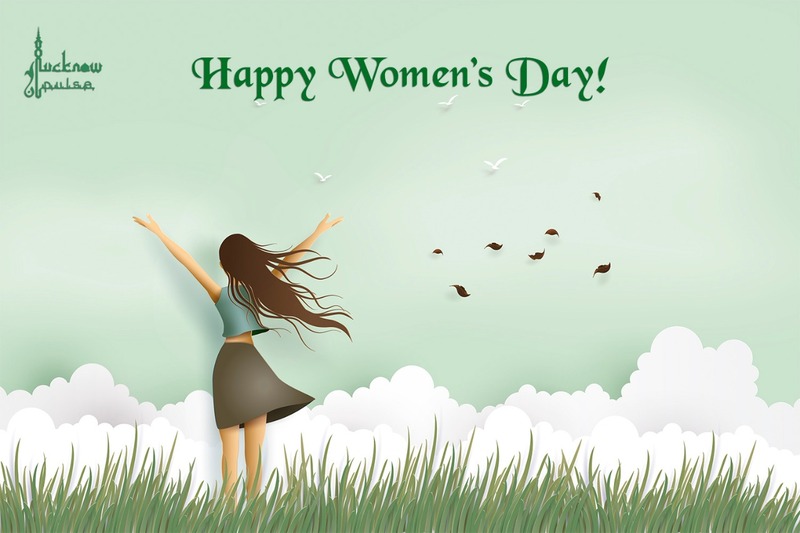 It is a day when we celebrate the accomplishments of women in all the spheres of life – social, cultural, economic and political, as we carry on with our progress towards gender equality. This year, LucknowPulse shares with you the achievements of some of these amazing women who have successfully smashed the stereotypes and have earned a name for themselves across various fields. They have shattered the glass-ceiling, inspiring many young girls and women out there and continue to make the city proud. Dr. Bharti Gandhi is the founder-director of City Montessori School, along with her husband Mr. Jagdish Gandhi. She has been dedicated to the education of children, women upliftment, and the fight against social evils. A devoted social activist, Dr. Gandhi has been honoured with the ‘Devi Award’, ‘Janpriya Vyaktitwa Samman’, ‘Kirti Shree Award’ and the ‘Bhartiya Nari Samman’, to name a few. Farukh Jaffer was the first female announcer of Akashvani Lucknow. She wrote plays and portrayed roles on-air in a very popular AIR show titled Geeton Bhari Kahani. The film ‘Umrao Jaan’ marked her silver screen debut in 1981, where she was seen in the role of actress Rekha’s mother. A Lucknow University alumna, she was married to freedom fighter and journalist Syed Muhammad Jaffer. She later moved to Delhi where she discovered her passion for drama and began attending workshops by Ebrahim Alkazi, one of the leading directors at National School of Drama. Farukh Jaffer has been a part of many notable films such as ‘Swades’, ‘Peepli Live’, ‘Amma Ki Boli’, ‘Barefoot to Goa’, ‘Parched’, ‘Tanu weds Manu’, ‘Sultan’ and ‘Secret Superstar’. Kanika is an Indian playback singer who was born and brought-up in Lucknow. She pursued her Masters in music from the esteemed Bhatkhande Music Institute and her first single ‘Jugni Ji’ released in 2012, which got her the Brit Asia TV Music Award. She began her Bollywood career in 2014, and went on to receive many awards since then, including the Filmfare Award, IIFA Award, and the Global Indian Music Academy Award. Kanika also owns a fashion brand to help the female Chikankari artisans of Lucknow. A writer, storyteller, trainer/ public speaker & an HR professional, Kena Shree dons several hats. She is a theatre artist who writes for the prestigious Huffington Post, Women’s Web, Cox and Kings, and is a Lifestyle columnist for the Times of India web edition, besides running a popular personal blog. Her writings have also appeared in the Hindustan Times, Amar Ujala and other forums. She is the winner of TOI Write India Campaign – a hunt for country’s 11 next-gen authors. Her winning story was published by the Times Books Group in November 2016. Kena is also a co-contributor to the anthology “Twilight’s Children” published by Readomania. A senior HR Manager, Kena has been working at NTPC Limited for over 13 years. She is known for Corporate Storytelling and HR/OD workshops, and is also a creative writing coach. Kena Shree featured in the list of “Top 100 HR influencers to follow on Twitter” (2014), “100 most inspiring women in India” (2016), “Top 100 women leaders at workplace” (2017), Jombay top “100 HR under 40” (2018). She was nominated for HT Woman Awards 2017 and won the “Outstanding Corporate Director” woman award by FICCI FLO in 2018. Meena is an inspiration for many. She was attacked with acid by her husband a decade ago but didn’t let the incident deter her. A mother of three children, she displayed immense courage and grit. She works with under-trial women at the Lucknow jail and helps them receive skill training. Meena is associated with a social organisation that supports and uplifts women, and was a guest speaker at Josh talks. An aerospace engineer, Ritu has been working with ISRO since 1997. She has been a part of several important projects and was the Deputy Operations Director of India’s Mars orbital mission, Mangalyaan. Ritu is now working on the ambitious Chandrayaan-2 mission. She has been referred to as the “Rocket Woman” of India and received the ISRO Young Scientist Award from Dr. A. P. J. Abdul Kalam in 2007. Making the nation proud is Vandna Gupta, an athlete who hails from Lucknow. She is an Indian weightlifter who secured the fourth position in the women’s 63 kg weight class at the Commonwealth Games at Glasgow in 2014. LucknowPulse wishes all the women out there, a very Happy International Women’s Day!